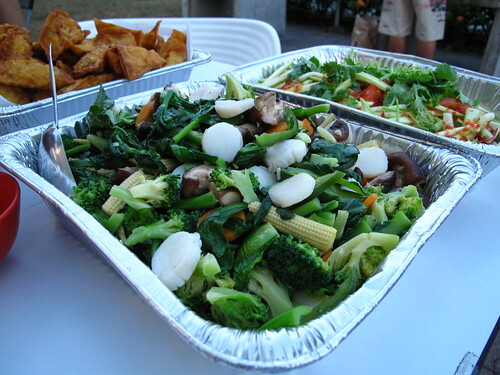 Our Peranakan family friends invited us one evening to join them at their barbecue. All the food was painstakingly prepared by the females in the family… which can only mean one thing: miam-miam ! I tried bakwan kepiting for the first time and it was delicious ! 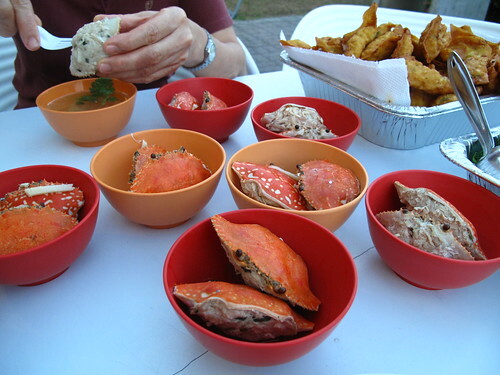 Unfortunately the dish took hours to prepare – Aunt C had to remove meat from the crabs, scrub the crab shells clean then stuff the minced pork and crab meat back into the shells. We took a stroll through Pasir Ris Park after the barbecue. 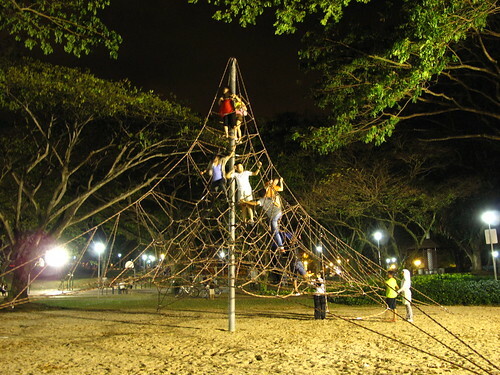 In all my childhood memories, this structure was humongous and I’d never managed to climb too far up. Today, it looks less intimidating but as I was wearing a skirt that night, I couldn’t know for sure if I had actually conquered my fears since. omg, I would kill for some good seafood right now. Honestly, anything but meat… Although I gave in the other day and had pork, lamb, AND beef with papas fritas! Heart attack, here I come. Haha, Latam is your make or break. Please don’t come back pang pang.